has made intervention by introducing vermicompost as an enterprise for self employment generation. 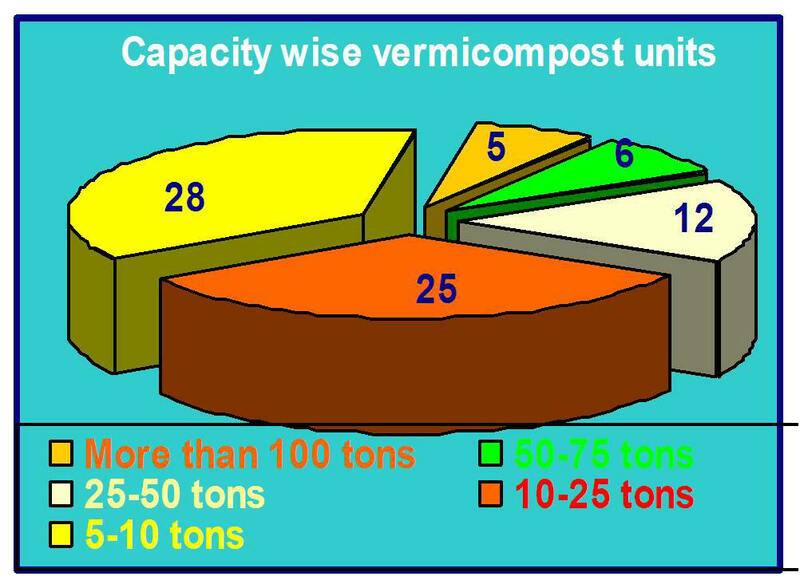 Vermicompost is one of the best suitable enterprises for the rural youths due to sufficient availability of agriculture waste, crop residue and cow dung. To develop this enterprise in the rural area for self-employment and sustain agriculture business, KVK took initiative to promote the vermicompost production as self employment enterprise. In the year 2000-2001, a model demonstration unit with 50 tons annual production capacity was started by KVK. For this purpose species like Eosinia foetida and Eudrillus euginae are used. During the last ten years, KVK has produced 375 tons vermicompost, 5890 liter vermiwsah and 500 kg vermiculture which were supplied to the farmers. This unit is mainly utilized for on job training of the trainees. KVK designed three days vermicompost production skill imparting training programme for rural youths. 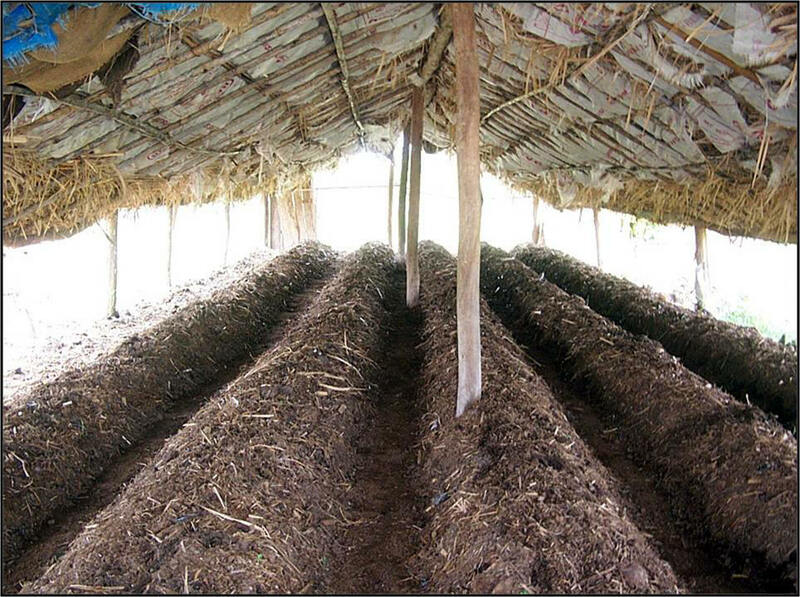 Training includes vermicompost and vermiwsah production technique, harvesting, packing and marketing besides project preparation. Total eleven courses were conducted especially for rural youths benefiting 303 trainees. Total 85 rural youths started the vermicompost production for self employment generation. Out of these 85 units, five units having production capacity more than 100 tons per annum and six units have 50-75 tons per annum. Three master trainers developed for second stage extension.KVK also promoted the small scale vermicompost units at farmer’s level, 275 such units are working in the KVK operational area producing 5 to 10 tons annually and they are using it on their fields. enterprise in the villages. On an average rural youth earning Rs.4500-5000 per month income and also created employment to others. Total 14,160 man days have been generated annually through these units, besides proper utilization of agriculture waste. Thus the socio-economic status of rural youth is increased. Annually 2360 tons of vermicompost, 1350 kg vermiculture and 4550 lit vermiwsah are produced by these entrepreneurs, which is worth of Rs. 110 to 115 lakhs. With the help of these units total 3631 tons of FYM and crop residues are recycled for agriculture purpose.